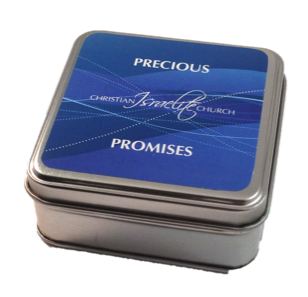 This box contains 198 carefully selected Bible verses from the Old and New Testement of the Bible. The boxes measure 9cm square x 4 cm. (3 1/2" square x 1 1/2"). This box contains 198 carefully selected Bible verses from the Old and New Testement of the Bible. The boxes measure 9cm square x 4 cm. (3 1/2″ square x 1 1/2″).